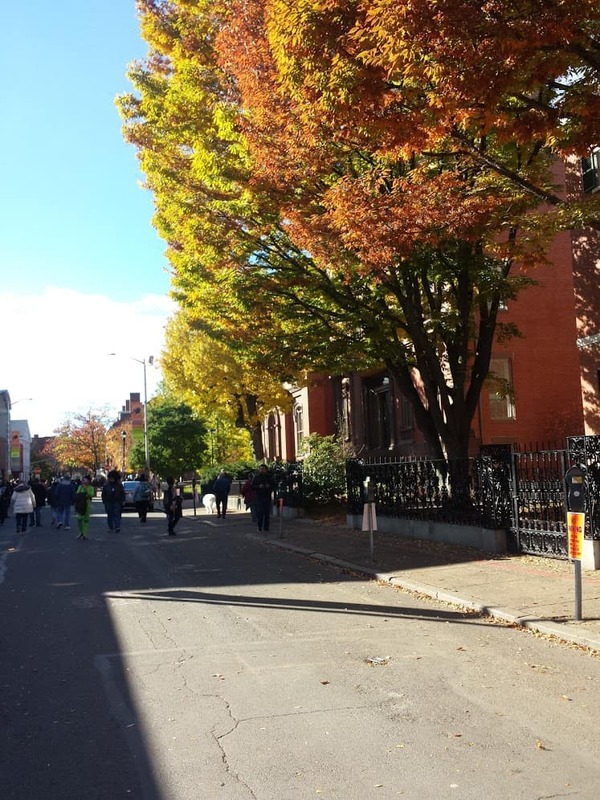 The Salem Trolley Tour is perhaps the best way to see Salem if you’re in a hurry or new to The Witch City. In just one hour, The Salem Trolley Tour visits nearly twenty spots in town. Some notable places guests visit include: The Salem Witch Museum, Salem’s gorgeous Pickering Wharf, The House of the Seven Gables, The Old Burying Point, and many more. Something that makes this particular tour worthwhile is that it, unlike many other Salem attractions, explores more than just The Salem Witch Trials. In addition to 1692’s history, you’ll also be educated about Salem’s incredible maritime, architectural, merchant, and literary histories. They also offer “Special Tours” which are themed and in a constant rotation – check their website for these. Jumping into the Salem Trolley Tour also means you’ll be able to get on and off at ANY of the stops along the way. So, if you’re a savvy Salem-goer, you can definitely use the trolley as a pseudo-shuttle service that runs from The Salem Regional Visitor Center. From there, you’ll venture west to the Old Burying Point and then west past The Salem Witch House and into the architectural beauty of Chestnut Street. Then, the trolley heads south to the waterfront. After that, it swings as far to the east as land allows, all the way out to Winter Island. The Salem Trolley Tour concludes by backtracking from the east and swinging north, back to The Salem Regional Visitor Center. As with many of Salem’s attractions and tours, service is seasonal and runs regularly from April 1st to November 1st. If you’d like to visit in the off-season, give them a ring at the number below to check their schedule. The first tour leaves the station at 10:00am and the last at 4:00pm. Price: Adults and seniors are both around $20 each, with a slight discount for seniors. Children are about $10, unless they’re under the age of 5, in which case they are free when accompanied by an adult. The tour departs from and arrives to The Salem Regional Visitor Center at 2 New Liberty Street Salem, MA 01970.